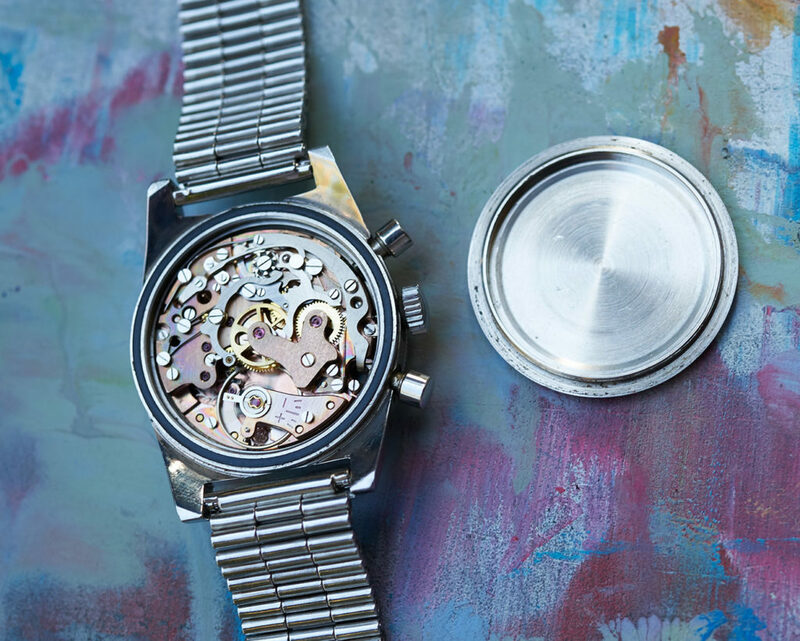 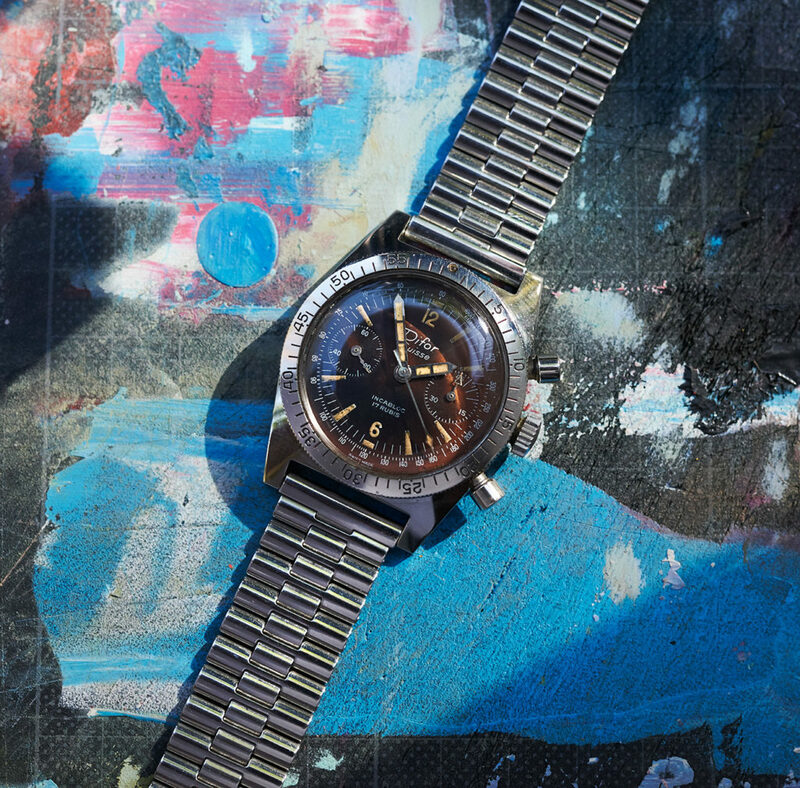 This beauty from the late 60s is powered by a Valjoux 92 which was checked through by our watchmaker and runs exactly in all functions. 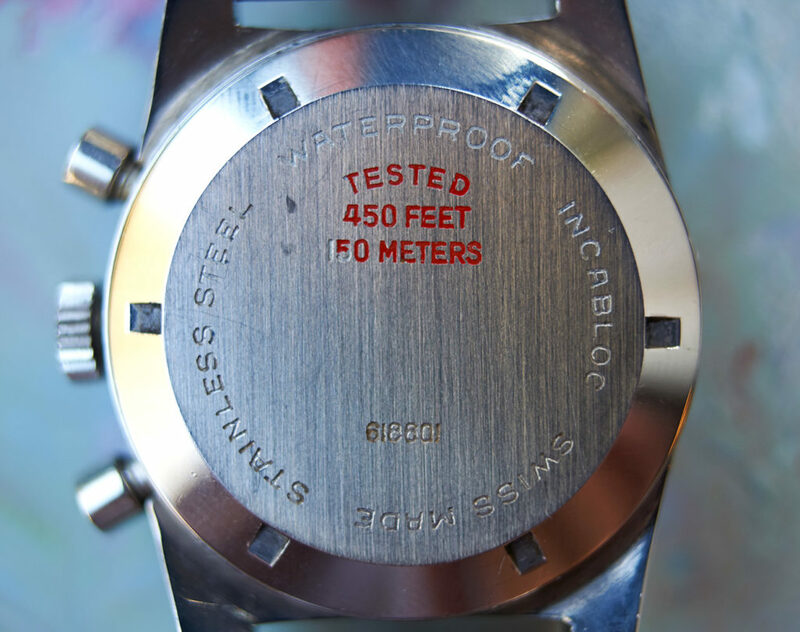 The 37mm case is unpolished and has a caseback with red lacquered engravings. 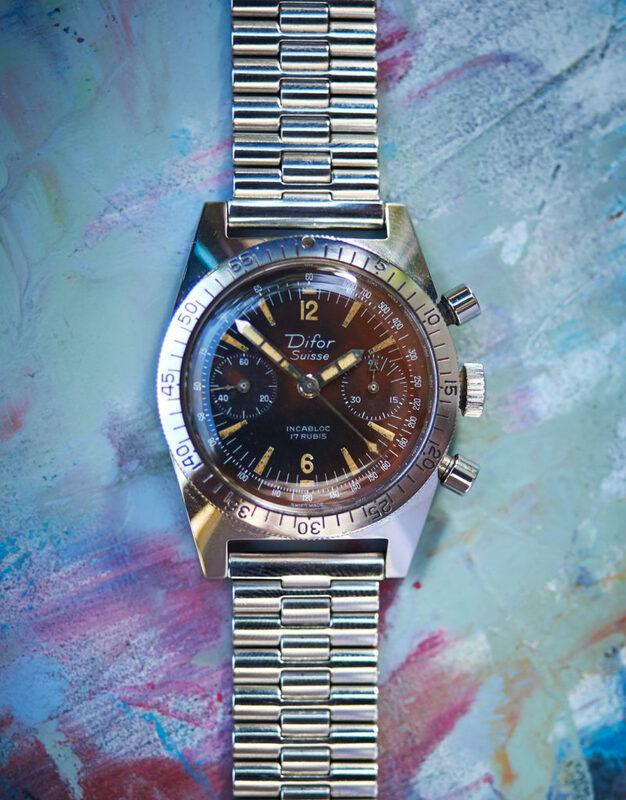 The outstandingly beautiful tropical dial is unmolested and appears still with it´s original patinated tritiumlume. 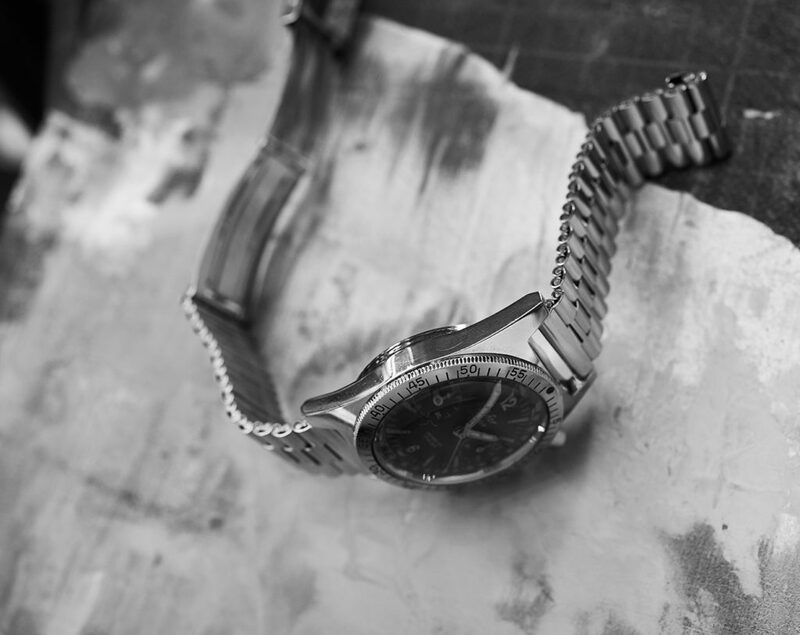 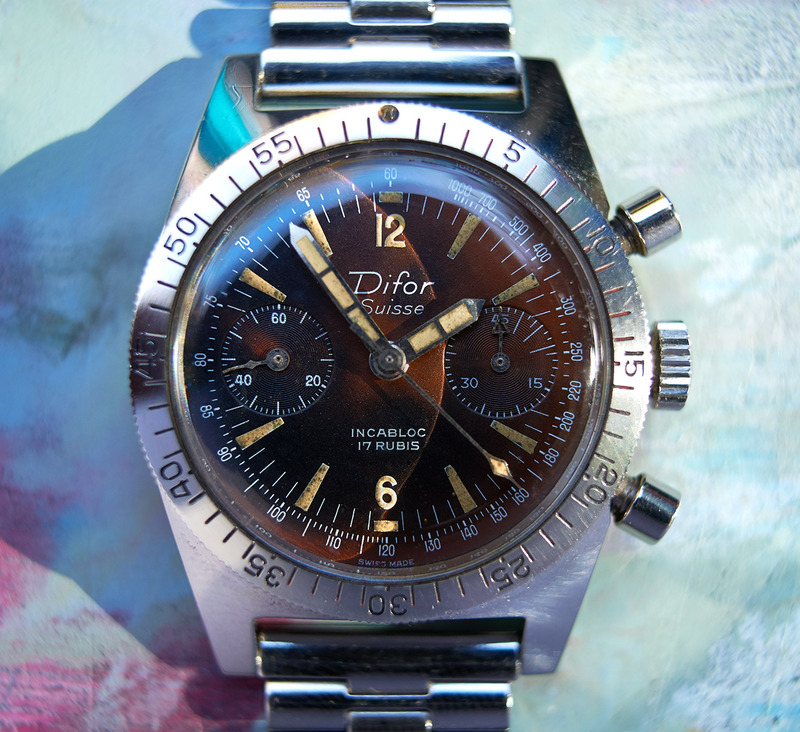 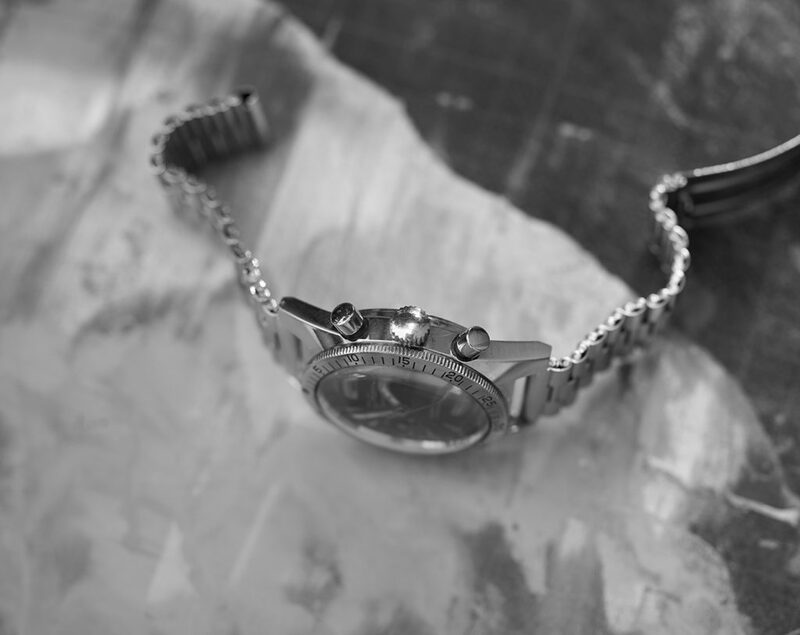 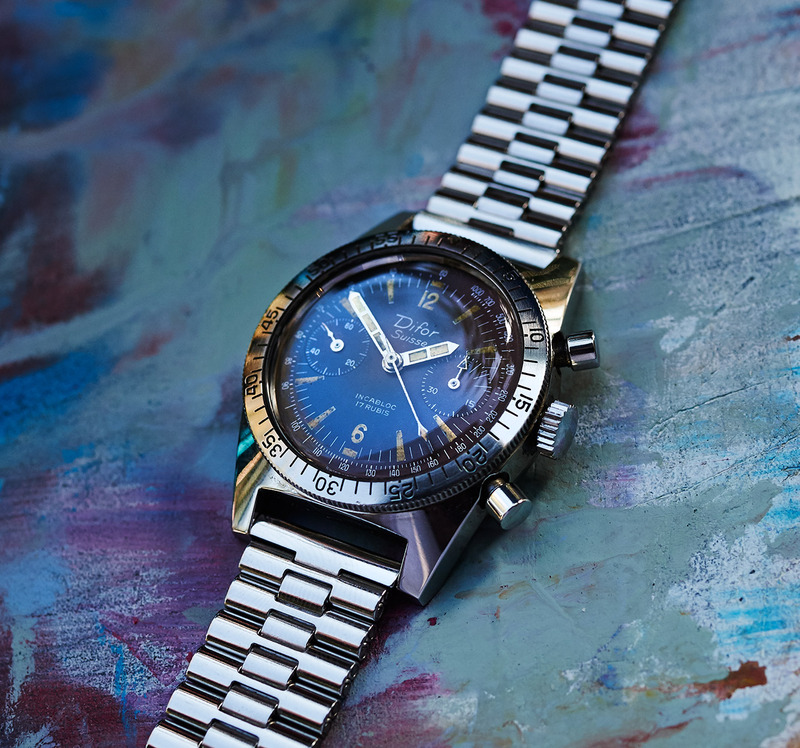 This rare and unusual vintage chrono comes on a folded steel bracelet.